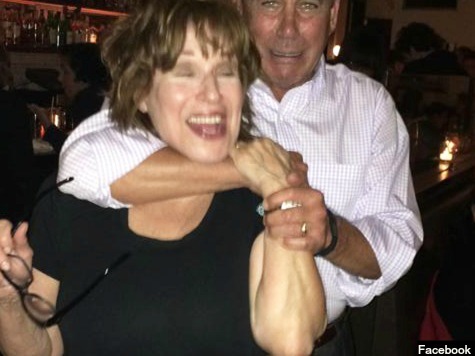 Behar ran into Boehner in a restaurant–Almond Restaurant in East Hampton–and told the Speaker to “stop obstructing President Obama” as she “tackled” him, according to the New York Post. “Boehner was eating at Almond with four Secret Service agents in suits. Compared to everyone else in casual Hamptons attire, they really stood out. They looked like they were going to a wake,” Behar told the Post‘s Page Six.